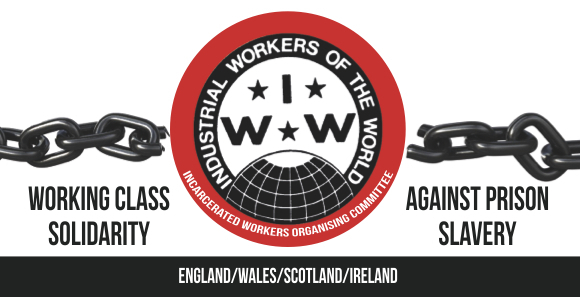 Repression against prisoners fighting for better conditions – we stand in solidarity with Stuart Horner. 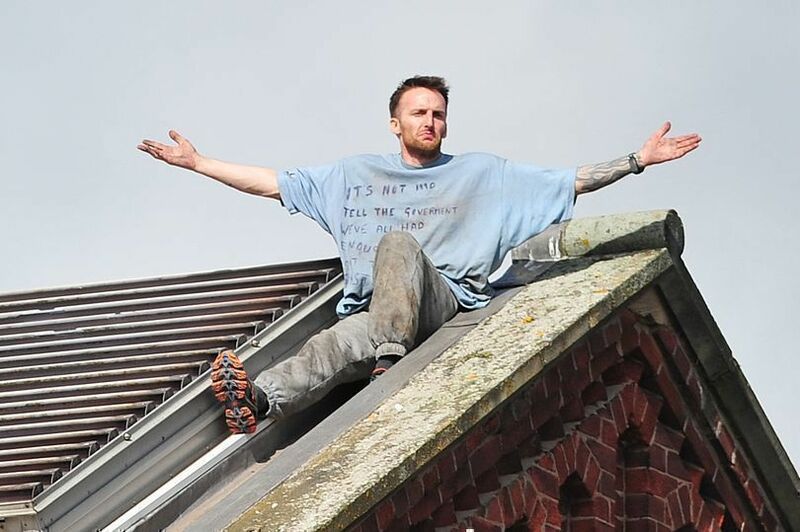 Strangeways rooftop protester Stuart Horner has been jailed for nine years for causing more than £1m of damage and disruption in a 60-hour siege. But because Horner, 37, from Benchill, is already serving life for murdering his uncle, it is unlikely the sentence will delay his release unless the parole board hold it against him. Mr Horner was jailed for a minimum of 27 years back in 2012. 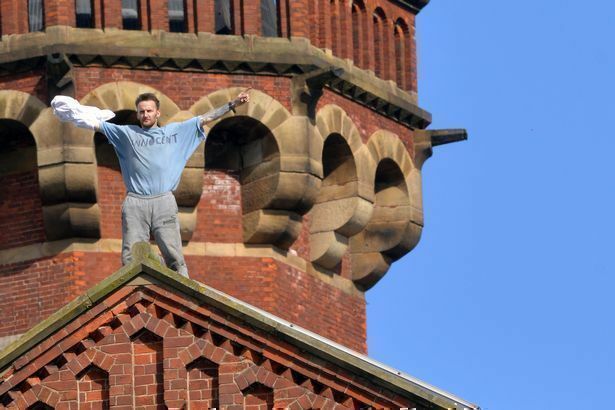 But in September 2015, when he was on the segregation unit at HMP Manchester, he managed to scale a fence in an exercise yard and then made his way to the roof. The stunt came after Horner had become frustrated at the response to complaints made to jail bosses about the amount of time prisoners were spending in their cells and the conditions behind bars. Staff shortages were leading to lockdowns – periods where prisoners were spending 23 hours in their cells – and he complained that sanitation problems, boredom, increased drug use, lack of work, exercise and family contacts could result in a riot like the one that raged for 25 days in 1990. 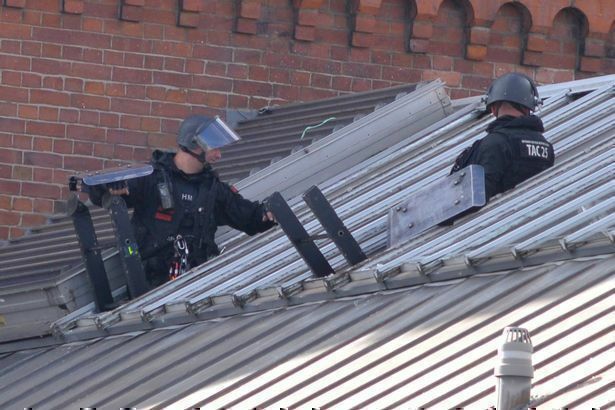 After getting to the roof of E Wing he systematically destroyed the windows in the wind and the rain, tearing off metal strips, smashing glass panels, and dismantling a CCTV camera, in between sleeping, running across the tiles, playing to the crowd, and engaging tactical prison officers in a high-stakes game of cat and mouse. He was cheered on by inmates on E Wing and attracted a crowd of supporters outside the Southall Street jail, who lit fireworks, intimidated staff on their way to work, and blasted loud music into the night. The siege only ended when Horner surrendered. He has now been sentenced after being found guilty of criminal damage and affray, charges he had denied in a four-day Manchester crown court trial in which prosecutor Bob Elias labelled him a ‘narcissist’ who had been ‘loving it’. Sentencing, Judge Jinder Singh Boora said he accepted that when Horner started his protest ‘malice wasn’t in your mind’. Horner appeared disappointed at being found guilty initially, but other than that showed little emotion. The siege led to the £250,000 of damage to the Category A prison, with the total costs incurred by the prison and emergency services topping £1m. Prisons Minister, Sam Gyimah said: “Disruptive behaviour has no place in prison and we welcome this sentence which shows that we will always push for the strongest possible punishment.